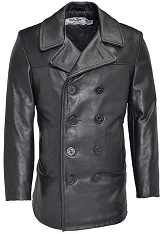 Ace Jackets features the widest collection of USA made Peacoats (Pea Coat) on the Web! 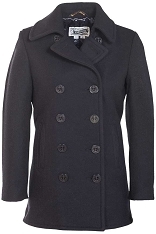 One of the most popular categories on our site, the classic lines of Naval style Peacoats have withstood the test of time. 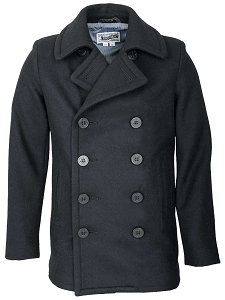 Originally called a Pilot Coat, it was shortened to P-Coat or Pea Coat through the years. 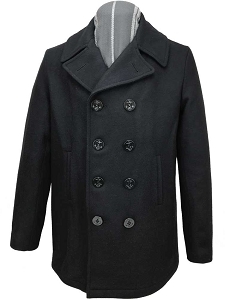 The iconic Pea Coat is a timeless design. 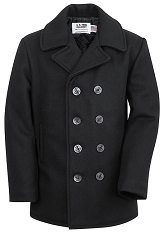 Originated in the early 20th century, The peacoat has gone through various design enhancements. 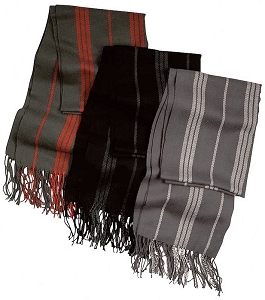 But one element of the style still remains to this day - the double breasted wool design with wide collar is comfortably warm and cinches up rather well with the top anchor button. 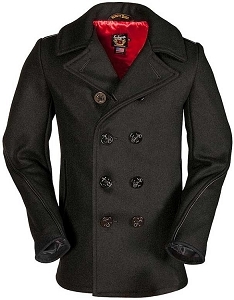 Peacoats look great with dress slacks or jeans, and can even serve double duty as an overcoat.